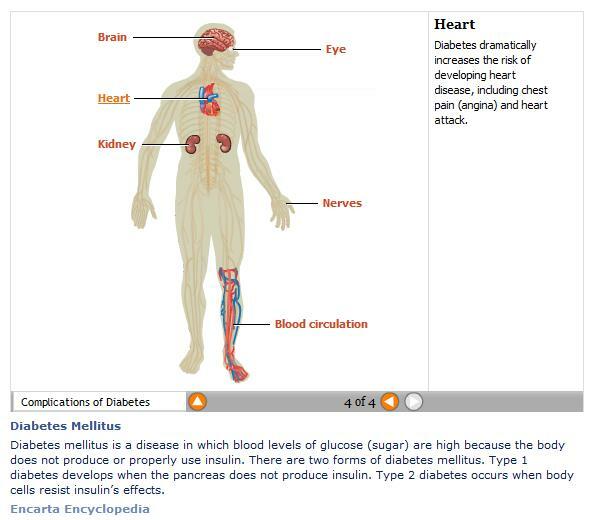 I'm sure there are many people already familiar with diabetes mellitus. It is a disease in which the pancreas produces insufficient amounts of insulin or the body’s cells fail to respond appropriately. Insulin is very vital, it is a hormone that helps the body’s cells absorb glucose (sugar). Glucose can be used as a source of energy. People with diabetes have high glucose levels that build up in the blood, it causes excessive urination, thirst, and hunger, also makes problems with fat or protein metabolism. 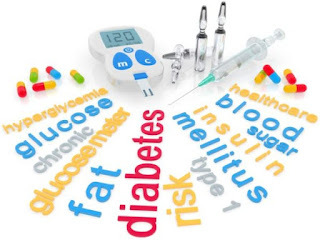 Type 1 diabetes occurs due to genetic, sufferers must receive insulin as much as two to four times a day, this is done because the body can not produce the hormone (insulin). Treatment of type 1 diabetes is with insulin injection, medications, diet, and regular exercise. Type 2 diabetes can happen to anyone, either adults or children, mostly type 2 diabetes is caused by unhealthy living. Type 2 diabetes is most common in people with obesity, the treatment begins with diet control, exercise, and weight loss, although over time this treatment may be inadequate. People with type 2 diabetes need to consult with a doctor to formulate a diet plan. Recommended foods are usually low in fat, moderate protein, and contains a variety of carbohydrates. They can consume nuts, vegetables, and grains. Regular exercise also helps the body's cells to absorb glucose, even ten minutes of exercise a day can really work effectively. Control diet and exercise play a role in weight loss, which appeared to partially reverse the body's inability to use insulin properly. For some cases of type 2 diabetes may need insulin doses or in combination with medication and insulin. Diabetes can be risky to all the organs in the human body, which can cause symptoms of coronary heart disease. Coronary heart disease is a chronic disease in which the coronary arteries, the vessels that supply blood to carry oxygen to the heart become narrowed and may bring some blood. Most often, the narrowed coronary arteries due to atherosclerosis which is a process in which fat called plaque form inside the arterial wall. The plaques are made of molecules known as cholesterol greasy, fibrous protein, calcium deposits, platelets, and cells die. The formation of plaque often occurs in adolescence and progress very slowly until a few decades. Gradually, the plaque thickens and can grow the arterial wall, reducing the space for blood flow. Diabetics can be highly at risk for coronary heart disease. Most diabetics are advised for carbohydrate diet, having a healthy lifestyle and exercise regularly. Diet program heart disease tropicanaslim can be a solution. Diabetes is a serious health disorders. If it appears the first sign of symptoms of diabetes, we'd better get a health check, especially blood sugar checks. We must be careful and should really pay attention. Risk of coronary heart disease can be overcome as soon as we aware of potential consequences of diabetes. Indeed, mba. We need to pay attention to diabetes in order to avoid the risks. Jangan sampe kita kena penyakit diabetes ya mama Jav. Mudah-mudahan bisa mengurangi minum yang manis-manis dan mengurangi carbo karna kalau sampe terlampau tinggi bisa meresikokan organ tubuh lainnya. Duh, pasti gemes ya pengen kasih tau dan ngingetin kadang susah kalo bukan dari kesadaran diri sendiri. Diabetes is a ghost killer in my family. Think i should watch my food from now on. Gene is one of risky factors, but our lifestyle and habit can take a good role of diabetes prevention. You don't too much like the sweet ones, it's actually a good start to prevent diabetes. Keep healthy life, mba Nita. Be healthy and happy as always. hugs!